A hike in the credit card interest rate is an anathema for the consumers. A hike in the credit card interest rate is an anathema for the consumers. The interest rate on the credit card starts accumulating when consumers carry balance on the cards. Unsecured debts are not tax deductible. As such, the interest rates on the credit cards are quite high. They create more pressure upon the consumers than that of the educational loans, auto loans, mortgage, etc. You can obtain a super-low interest rate on a credit card by making a comparative analysis of the rates. You can just take out a credit card from the company offering the best deal at a certain time. However, this is a very common strategy used by the consumers. You need to know about some advanced ways to stay ahead of the other consumers. 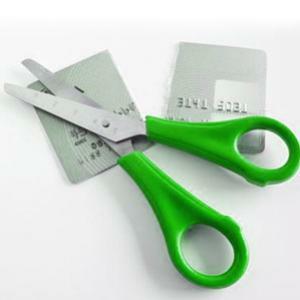 Consider and use the following 5 ways to cut down the credit card interest rates in the 2013. Make it your first priority to save dollars and pay off debts. 1. Make payments as soon as possible: The credit card interest rate is calculated on the basis of your average daily balance. You credit card interest rate will accrue every single day. The higher your balance is, the greater is your interest rate. You can avoid this situation by paying early. Don't wait to make payments till you receive the bill. Pay in advance so that you don't have to spend too much on credit card interests. 2. Make electronic payments: As it has already been said, the credit card interest rates increases in every single day. So, always try to make payments as quickly as possible. You can do so by making electronic payments. Give up your habit of sending checks to your creditors. 3. Request for a promotional financing offer: It is not compulsory that you've to take out a balance transfer credit card for getting promotional financial offers. Sign-in into your mail account and see if you've received offers that enable you to get rid of incurring interest. You can just call your bank and request them to give you such an offer on your current account. Just threaten to close the account if such an offer is not made to you. See, how this tactic helps you get an exciting offer. 4. Demand for interest rate reduction: If you've been a good customer in the past few years, then forget all your inhabitations and demand for a low interest rate. Don't wait for the credit card company to lower your interest rate. They may never take the initiative. Here also, you should threaten to terminate the credit card account if there is no change in the interest rate. The credit card company would not want to lose the good customer, since so many consumers miss payments frequently. They may just give you what you want. Finally, if you're in huge credit card debt, then this strategy may work for you. Ideally, it is best to not use credit cards when you're in debt. It just increases your debt burden. However, if you can't survive without credit cards, then use only one card for making additional purchases. Make sure you charge an amount which you can pay every month. At least, your one credit card will be within the interest-free grace period. You can channelize your energy on paying off other credit cards.